In retrospect, Dave Frohnmayer is looking a lot better than he did when he was actually Pres of UO. Management (or “management” for the corporate univesity) at UO is incomparably more centralized now under Schill than it was under Dave. 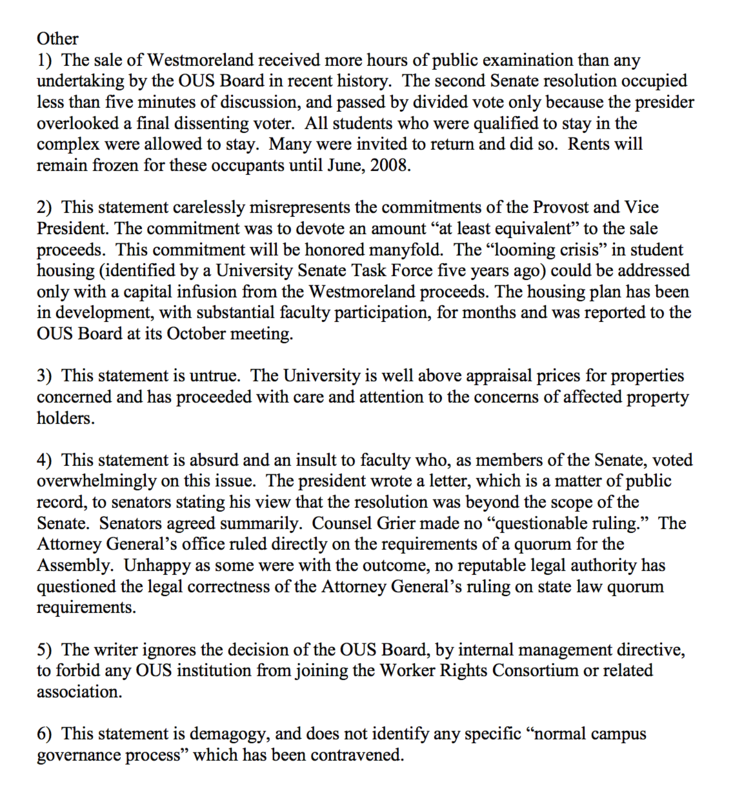 Removing all faculty hiring to the provost office. The rolling takeovers and makeovers of various colleges. Will it come to CAS soon? It is very unclear that it is accomplishing much, though perhaps it is too soon to tell. Better research fundraising? Better students, e.g. as evidenced by the “metric” of SAT scores? Enrollment? If there is much boasting, I haven’t heard it. There seems to be ever-more administrative bloat, time-wasting on make-work for the faculty. Some of this, I know, comes from outside factors, e.g. 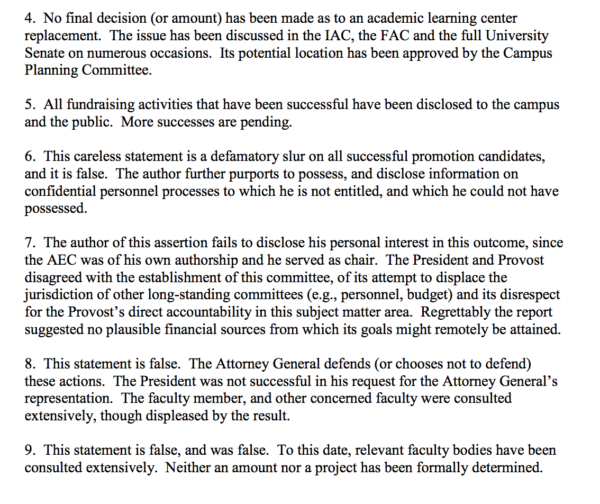 the accrediting agency. I will probably be wasting time soon discussing old documents whose generation was itself a time waster. The one big accomplishment seems to be getting the Knight campus. 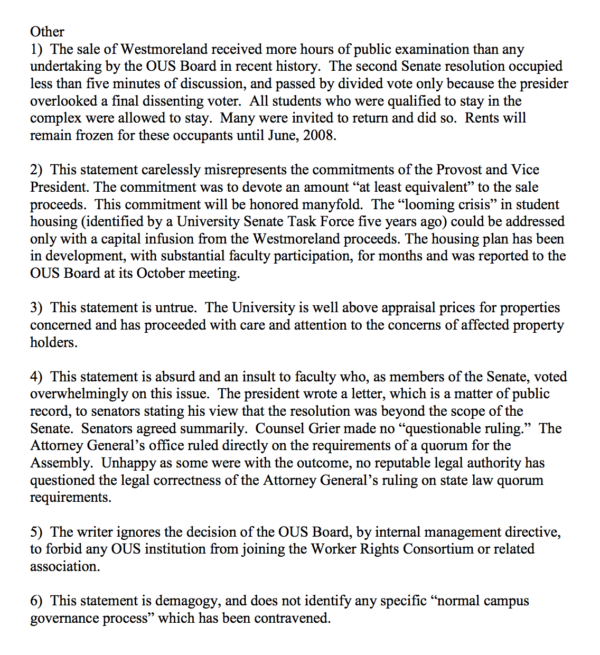 It’s been a long time since I’ve noticed so much grumbling about the UO administration from the faculty. It seems odd, the new Board structure doesn’t seem to have helped, neither does the union. If anything, they may make things more adversarial, with the administration, so far, on the winning side. The Board seems pretty inert except as a rubber stamp. It is interesting too that the students, or at least the vocal ones, are more testy with the Pres than I can remember in a long time. With Schill finishing up his third year, perhaps he will be moving on in a year or two. Some people seem to anticipate that waiting things out is the best move. Trouble is, Banavar and Conover may be around longer, and they may be causing a lot of the unhappiness. This power play was an atrocious insult to the entire UO community. When ca. 500 members of the Assembly gathered for a meeting which had been called exactly in accord with the UO governing document (Senate Charter), DF announced that the meeting was not an Assembly and promptly left the room, abandoning his responsibility as President to chair that meeting. The quorum law he referred to was conspicuously inappropriate for a body like the Assembly, as, I am sure, he well knew. 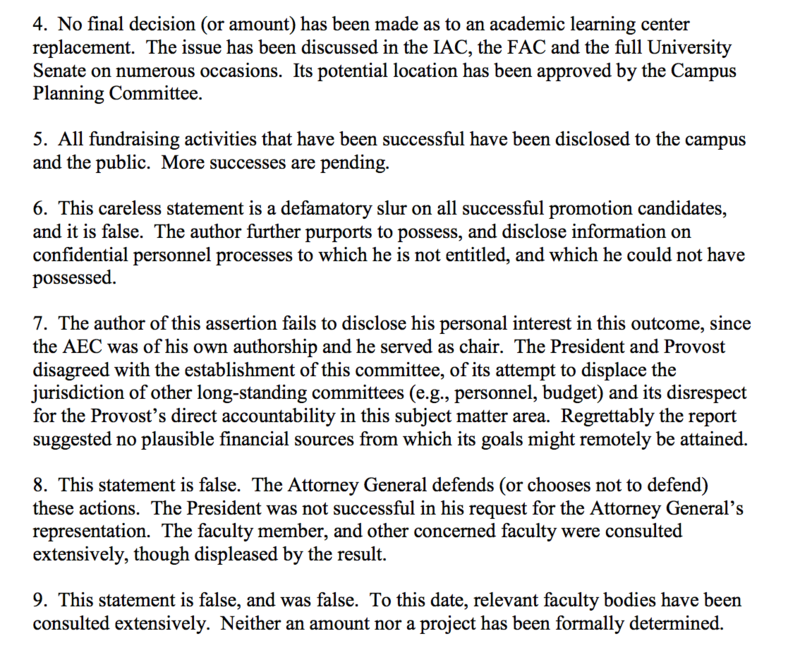 Saying that its applicability was an AG opinion was simply a way of saying that MG, who was an ex officio member of the AG’s office, did not wish to disagree with him. Later, The Senate President obtained a fully reasoned statement from the AG’s office in Salem declaring that, unless the Assembly sets a quorum for itself, then the quorum is the body that appears for the meeting. DF never apologized for this flagrant disregard for the rights of the community that he was paid to serve.